Certification is an important “piece of the puzzle” for anyone looking to become a forklift operator. Many companies will not hire a forklift driver if they’re not certified. If you don’t have proper training and certification, it will limit your chances of finding a good-paying job at a warehouse, dockyard, factory or other employer. The reasons a lot of people won’t hire a driver without certification have to do with safety and money. A certified operator is more likely to follow rules and not get into accidents. And the Occupational Safety and Health Administration (OSHA), a U.S. government branch that makes sure workplaces are safe, can make companies big fines if they do not have certain rules in place. Without certification, OSHA can come in and shut a company down, or at least demand a lot of money. But if you have a forklift certification, you can open the doors to many jobs. Many businesses are looking for forklift drivers who are certified. You can work anywhere that needs heavy loads moved from place to place. It could be a shipyard that handles cargo. Or, you might work in a warehouse that stores and sends products to stores. 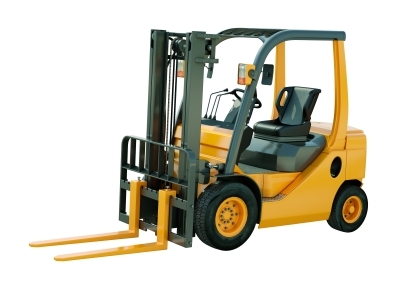 Factories, construction companies and other places are always looking for certified forklift drivers. So, the question is not always “what” you can do with a forklift certification – it’s also “where” you can go! And there are many places that will hire a certified worker. ForkliftCertification.com is the best place to go for complete forklift certification. As you can see from this blog post, there are many jobs available for forklift drivers that are properly certified. With our training courses, you will have the best training available anywhere. The best part of our training is that you will have your certification right away. Our 3 programs include Train a Trainer, Forklift Training Kit and the Bundle Package. Each course can help you or your company receive OSHA-compliant training. What are you waiting for? Go ahead and start your training program today! You can reach us through an email message on our contact page, or just call us at (888) 278-8896. We’re ready to assist you with your forklift certification.